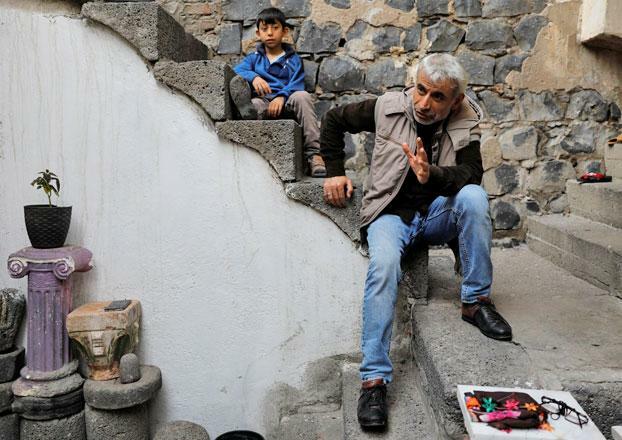 DIYARBAKIR, Turkey — Kurdish electrician Sukru Gunduz was out on a job when a friend came running to tell him his house was being knocked down, with five members of his family inside. Angry and alarmed, he rushed home. By the time he got there, a mechanical digger had smashed a hole in the small house in the historic Sur district of Diyarbakir, the biggest city in predominantly Kurdish southeastern Turkey. Gunduz’s mother, his wife and three of their five children were inside but no one was hurt and he persuaded the demolition workers to stop. But it was only a brief reprieve: two weeks later, at the start of this year, the two-storey structure was torn down in line with a state expropriation order. The house was one of thousands razed under a state urban renewal programme intended also to relocate residents from areas devastated after a decades-old conflict between government forces and Kurdistan Workers Party (PKK) militants resumed in 2015. The government hopes the programme will boost the economy and win President Recep Tayyip Erdogan and the ruling AK Party some goodwill — and votes — as they prepare for snap presidential and parliamentary elections on June 24. But Gunduz and three others interviewed by Reuters whose homes were demolished say they are awaiting compensation. The 47-year-old electrician has also lost part of his livelihood: the ground floor of his house was his electrical shop and a grocery store. “I haven’t sold the house, received money or signed anything. What right do you have to demolish my house?” Gunduz, 47, said in the courtyard of a house in Sur where he and his family are staying. Two government officials in Ankara declined to comment on the redevelopment issue. But Urbanisation Minister Mehmet Ozhaseki said in March the government would provide housing for all those left homeless by the destruction in Sur, one of seven areas of southeast Turkey that are being redeveloped. “We will give houses to all our brothers whose homes have been destroyed. Our levels of agreement are around 80 per cent. When houses for the remaining 20 per cent have been built and handed over, we will have dressed the wounds,” he told a crowd in Sur when Erdogan visited to launch the construction of new homes. Hundreds of thousands in southeast Turkey have been displaced by clashes between Turkish security forces and the PKK, which began its separatist insurgency in 1984, and more than 40,000 people have been killed in its conflict with the Turkish state. The PKK is designated a terrorist organisation by Turkey, the United States and the European Union. A group set up to support those displaced in Sur says more than 700 people have opened court cases to challenge the expropriation and settlement terms for their homes, among some 4,000 properties demolished in the process. JORDAN: Can Islamists be electable?